I love Lemon Meringue Pie. It is one of my absolute favorites. I seen this recipe a while back and just had to give it a try. 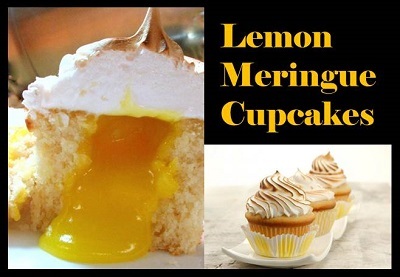 I mean really, lemon meringue cupcakes, of course I had to try it. Now let me tell you, they were delicious. Better then I expected. Give this recipe a try yourself as I am sure you are going to love them as much as I did. This will soon become an all time family favorite dessert.